Tacos weren’t always my “thing”. Growing up I never got a chance to try them because my family was full of picky eaters who only ate American basics. So when everyone else at college was eating Taco Bell because it was cheap, I still couldn’t bring myself to try any. 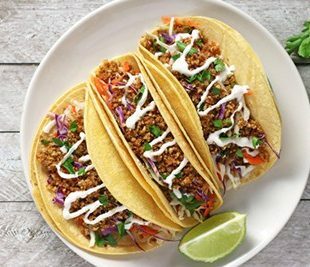 I always thought that tacos had to be filled with greasy ground meat so when I finally realized tacos could be fun, healthy, and plant-based, I was ready to give them a go. I love taking recipes that I already love and creating something new with them. I did that with my Lemon Overnight Oats, making my Blueberry Lemon Cheesecake Overnight Oats. That worked out really well so I figured why not do it for tacos? And that’s how my Teriyaki Tempeh Tacos were born! Tacos can be so versatile. You can throw basically anything in a taco shell and have a tasty and easy meal ready to eat in a short amount of time. Coming up with new taco creations has been lots of fun lately. 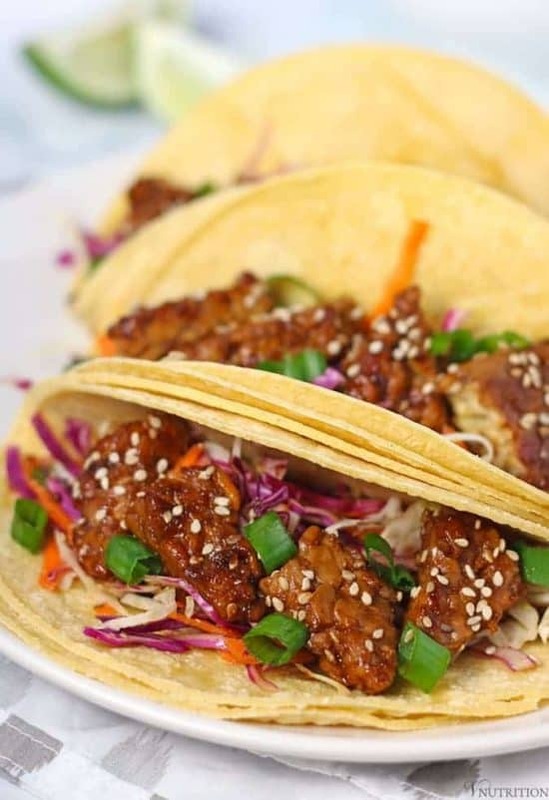 And since I’ve gotten a bunch of positive comments my Walnut “Meat” Tacos as well as my Breakfast Tacos I figured I’s share one of my latest recipes, my Teriyaki Tempeh Tacos. I have been enjoying my Teriyaki Tempeh and wanted to do something else with it like I did with my Lemon Overnight Oats. Side Note: I know some people say are not into tempeh but try my version before you write it off fully. If you’re not into tempeh after trying it, then tempeh might not be for you but at least try this version first because I cook it so that it’s not as bitter as you might have had before. As I was saying, I wanted to use my teriyaki tempeh for these tacos to put a different spin on the tacos. To balance the teriyaki flavor I made a tasty slaw to go with it using cabbage, carrots, vinegar, and even some Sriracha. Did I get you with Sriracha? I hope so, it’s really good! 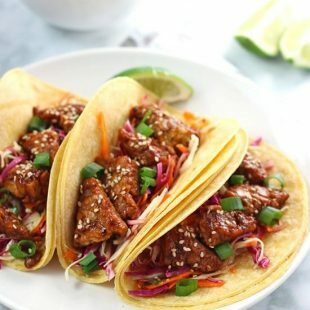 I hope you enjoy my Teriyaki Tempeh Tacos. 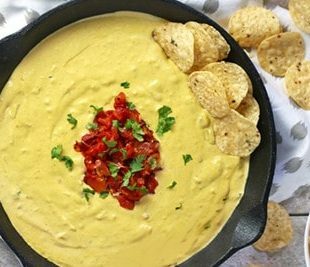 If you get a chance to try them out, please rate the recipe and leave me a comment below – I’d love to hear your thoughts. Share your pictures on Instagram too and tag @v.nutrition and #vnutrition so I won’t miss it! 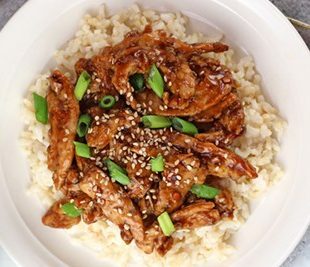 Make one batch of my Teriyaki Tempeh (link in ingredients). Add all of the dressing ingredients to a large bowl and whisk until combined. Add slaw ingredients to the bowl and mix until coated. Take tacos, add slaw (you may have some slaw left over), top with tempeh and enjoy! *Nutrition info does not include taco shells. There are so many types of taco shells with different nutritional values so check the back of the shells your are using for that information. 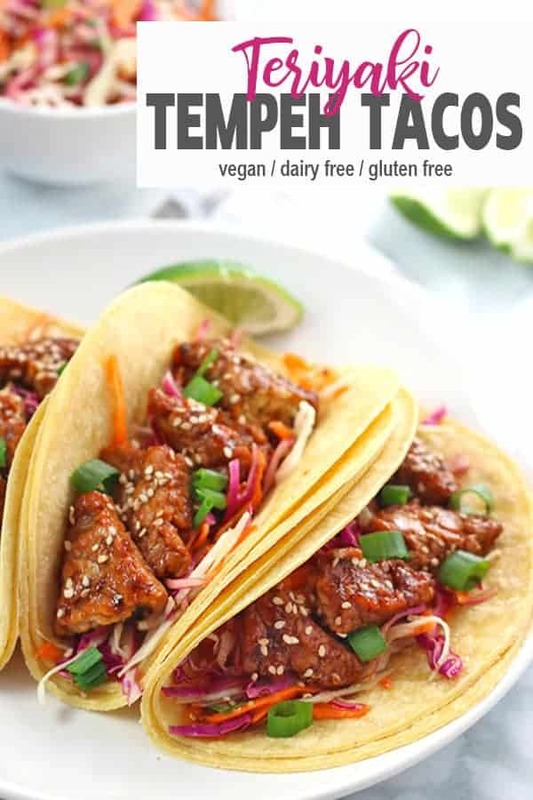 Like my Teriyaki Tempeh Tacos recipe? It would be so wonderful if you could give it some love by sharing! Oh wow! These look super flavorful. That’s so sad that you didn’t eat tacos growing up! My family ate terrible standard American diet food, but we ate tacos regularly. My mom would get the kit from Old El Paso and just cook it with hamburger meat, which I think is really disgusting now. I love tempeh, and I love teriyaki, so I’m excited to try these! Sooooo much better than the junk I grew up on! My family only really ate pasta and chicken nuggets – it was pretty ridiculous. It would have been a huge ordeal if my mom tried some Old El Paso tacos lol. These tacos are amazing! I love the mash up of Asian and Mexican flavors! Thanks so much Amy! Its so fun to mix up flavors! It’s amazing how many varieties of tacos there are now a days. It’s so fun playing around with ideas. I hope you like the tempeh when you very a chance to try it, Johanna! These look and sound amazing!! I’ve got to try them! Pinned! These look wonderful, great flavor fusion and can’t wait to try. Thanks! Oh my Mary Ellen, that looks so stupendously good. I love the Asian meets Mexican flavor combo here. A perfect change of pace from everyday taco ingredients. oh my goodness!!! 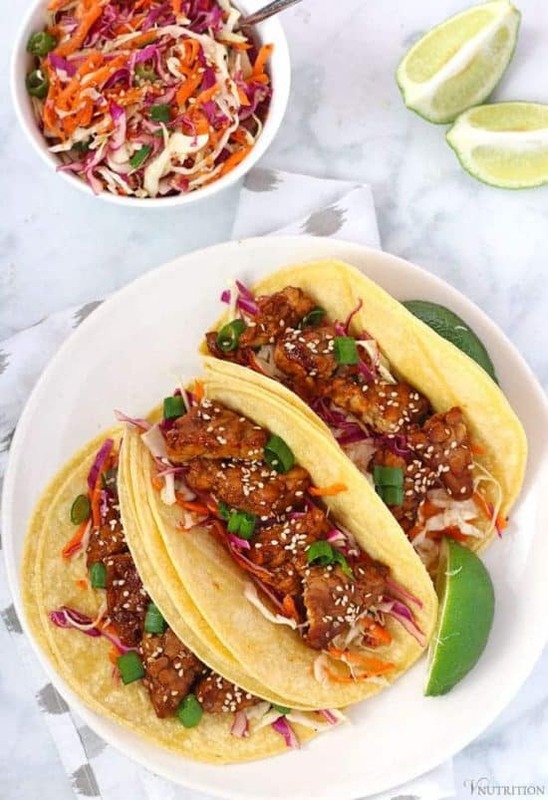 I just came across these on social shares and i’m in love with your teriyaki tempeh tacos!! I need to try them asap! Those are droolworthy Mary Ellen. Thanks for submitting it to Meat Free Mondays. I’m featuring your recipe this week and the roundup is now live. Right now for some sharing! Thanks so much Jac! 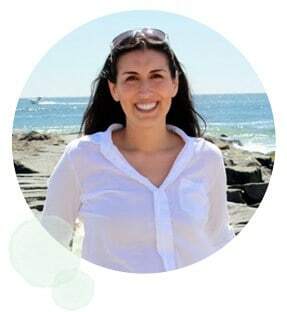 I love your roundups! Oooooh. These look so good! I have always loved tacos, but you need to put a twist on your favorite things sometimes to mix it up! 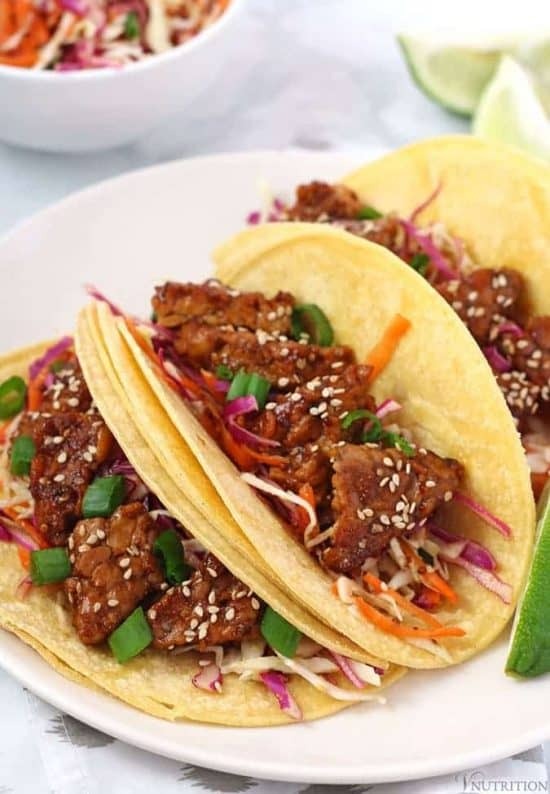 Teriyaki on tacos sounds amazing, pinned for later, Thanks! Thank you so much Alison! Yes, I like twisting things up sometimes to make things fun! Anyway – I still don’t get these people not into tempeh. The stuff is glorious and so versatile. And tasty! Totally digging these tacos and can’t wait to try ’em out. ps. I hate to admit that I used to love taco bell. Gross. We had these the other night and loved them! I think they’re even better as leftovers. Thanks so much for sharing! I’m so glad you liked them! I’ve enjoyed the as leftovers too. 🙂 Thank you so much for letting me know! I really appreciate it. 8 Taco shells = 6 servings? How does that work? Hi Dan, thanks, I didn’t see that error before! It’s fixed now. Please note that the taco shells are not included in nutrition info because nutrition can vary for each.